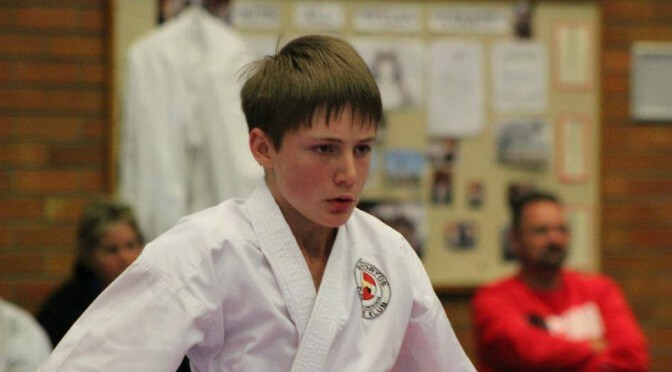 In Jan 2008, Luke started with karate at the age of 8 (gr 3). It feels so long ago, I cannot even remember how it came about or why we ended up at Solis Ortus. So glad that we did! From the very start it was obvious that he was enjoying it and it looked like he had a natural feel for it. At that age most kids struggle to sit still or concentrate for more than 10 minutes, so you wonder how is your child going to remember all the kata moves and stances and the Japanese words for everything. But he found his focus, quickly adapted to the discipline required and progressed quickly – always very proud to receive his next belt! Always supported and encouraged by sensei Eugene and the club. Through the years we saw the club grow in numbers and achievements, and so did Luke’s confidence levels and skill. This confidence not only became visible in the dojo, but in all aspects of his life. Any activity or sport that can do that for a child is worth the time, effort and money that we as parents need to contribute. Of course there were times when that black belt seemed too far away, and quitting seemed easier. Then it took a little extra encouragement from mom, dad and sensei to keep going and to remind you that you are working for something that not many will achieve in the end. This year, on October 24th it was grading day! After 8+ years of training, Luke, Ruan and Karl got their chance to go for Shodan. Although the nerves were a bit on edge, (well, mostly the parents’ nerves) the boys were confident and well prepared. They knew that sensei would not send them to grade if they were not ready. And they did it with distinction! Boys, stand proud – if you can achieve this, there is not much in life you cannot tackle head on!